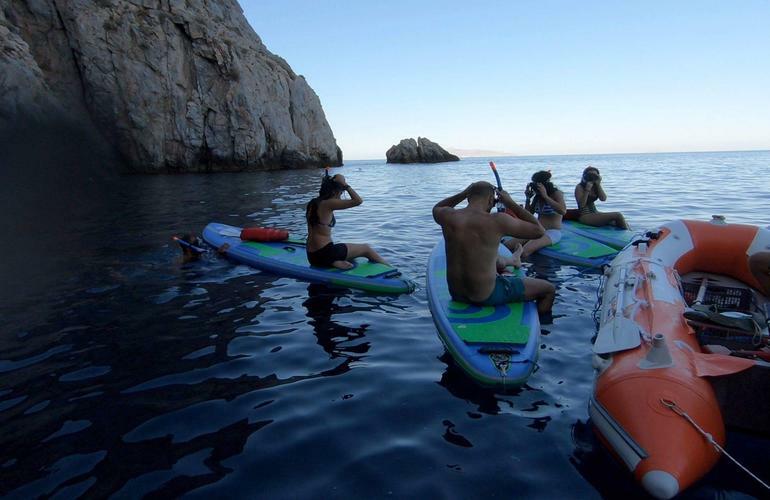 Admire the best beaches and coves of Santorini with the SUP tours. Depending on the wind condition you will go around the beaches of Kamari, Mesa Pigadia - Red beach and the Caldera Panorama. 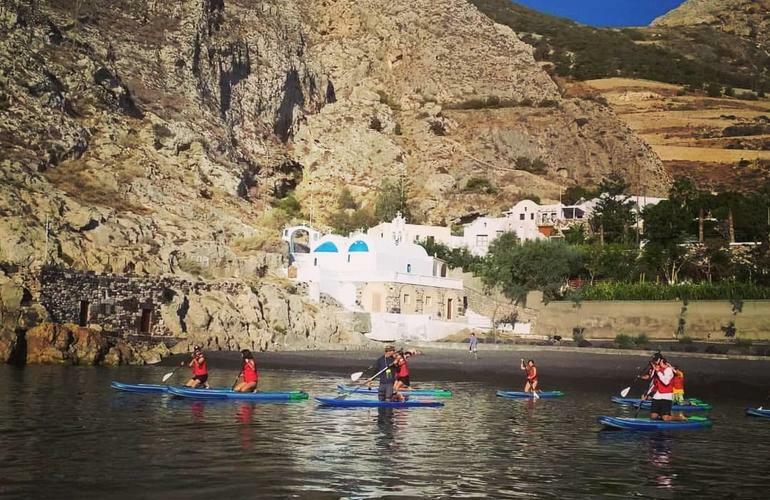 The best designed SUP tours around Santorini to wonder around the island on your paddleboard. You will be picked up from your accommodation and then you will be driven to the starting point depending on the SUP tour. All the tours are designed by experienced instructors aiming to make it fun and give you the best views of Santorini and the Caldera. 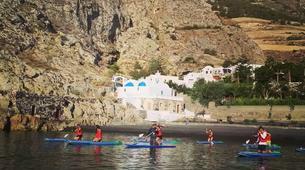 With the SUP tour you will have the chance to admire the beauties of Santorini. All the equipment is provided and it's easily accessible to all levels - whether you have tried it before or not. Your guide will give you an introductory course before the tour if you haven't tried it before. All the tours are designed to go downwind to make paddling easier. You will also have the chance to snorkel in the crystal clear waters of Santorini and admire the beauties underwater.